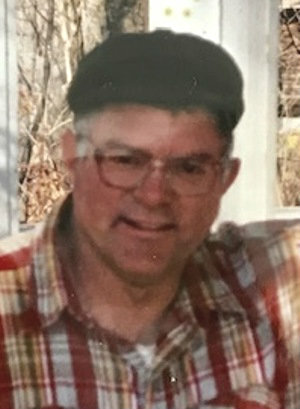 Obituary for Jeffrey Jay Meehl | Doolittle Funeral Service, Inc.
Jeffrey Jay Meehl, 71, of Middletown, passed away on January 8, 2019 at Yale-New Haven Hospital. Born in Middletown, he was the son of the late Joseph and Irene (McKinstry) Meehl. Jeff lived in Middletown most of his life, graduated from Woodrow Wilson High School (Class of ‘65) and Central Connecticut State College. He taught at Crosby High School in Waterbury, Platt High School in Meriden, Haddam-Killingworth as an Industrial Arts teacher and worked at Yankee Boat Yard in Portland. Jeff always loved farming and remained a farmer at heart. Jeff was a member of Third Congregational Church where he volunteered to cook turkeys for the churches Thanksgiving dinner and play Santa at Christmas time. Jeff was also involved in the Brown Family Reunion, Middlesex Area Patient Services (MAPS) for patients with Multiple Sclerosis, Woodrow Wilson High School Reunion Committee, and Crosby High School Robotics Team. Jeff is survived by his brother Abe Meehl of Portland, his sister Pamela and brother-in-law Matthew Coyle of Mansfield, MA, nephews Matthew, Christopher, Gregory Coyle and niece Olivia Coyle. Funeral services will be held on Saturday, January 19, 2019 at 10:00 am at Third Congregational Church, 94 Miner Street, Middletown. Burial will follow in Pine Grove Cemetery. Family and friends may call on Friday evening from 5:00 to 7:00 pm at the Doolittle Funeral Home, 14 Old Church Street, Middletown. In lieu of flowers, donations in Jeff’s memory may be made to Middlesex Area Patient Services (MAPS), P.O. Box 1242, Middletown, CT 06457. To share memories or send condolences to the family, please visit www.doolittlefuneralservice.com.